I recently exchanged a series of messages with a member of my Master Class. She had questions about deleting downloaded content from her iPad and from iCloud. She also wanted to know how to find her purchase history for items she bought in the iTunes Store. Here’s an edited version of our email exchange. Hi I have a question. We downloaded a tv special on our ipad by mistake. I don’t even know what we paid for it, but we want to delete it and it is in the cloud. How do we delete it? Delete it from your iPad. 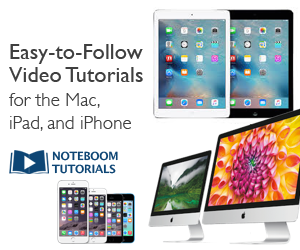 See this article for directions on deleting a video from your iPad. iCloud will continue to have a record of the purchase. You get unlimited free storage in iCoud for: purchased music, movies, TV shows, apps, and books, so no need to delete it there to “free up” space. Also can you tell me how to find out what it cost us? Thanks! You should also have received an email invoice from Apple regarding the purchase. This may take 12 to 24 hours. If you scroll down the list in your purchase history, you should see a “Report a Problem” button. You may be able to get a refund for the mistaken purchase by following that link. Indicate the item you’d like a refund for and fill out the form.